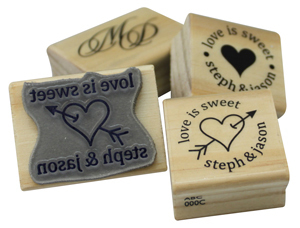 Have a woodmounted stamp made for you or your business. You must supply us with artwork or a design as per the specifications below. If we are required to alter, change or create artwork for you, then extra charges will apply on top of the cost of your stamp.